Bollywood has a name in cine world for having produced movies pertaining to all walks of life and commendably, the history of India has not been ignored. The rich history of the country has received the due respect by its inclusion amongst the pages of the Indian cinema. From its ancient civilization to its rule by the Moghuls, thereafter its struggle for freedom from the British Raj, India stands to salute its heroic citizens making them eternal through its films. The beginning of the Indian Film Industry (now Bollywood) was mainly focused on the country’s history. The movies achieved success as they catered to the emotional involvements of its viewers. Because of this, the directors and producers focused on the correct history of the events they went on to picturize. Raja Harishchandra (1913) was the first historical movie on the Indian screen. It was a silent movie in black and white lasting only forty minutes. It was based on the story from Mahabharata and Ramayana about the King (raja) Harishchandra. It was produced and directed by Dadasaheb Phalke. The leading roles were played by Dadasaheb Phalke himself as Raja Harishchandra and P.G. Sane as his wife, Taramati. It was first shown in Mumbai marking the beginning of the Indian Film Industry. It became a big success. 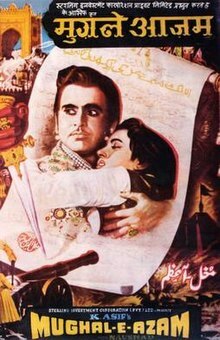 Mughal-e-Azam (1960) means ‘the greatest of the Mughals’. It was an Indian epic film and was directed by K. Asif. It took two million dollars and nine years to complete. It holds the record of being the highest grossing film till 1975 when the movie Sholey stole the show. Mugha-e-Azam ix considered amongst the biggest box office hits of Indian movies. It was a hit even worldwide. The movie was partially in black and white to begin with. A restored color version of the film in 2004 also continued to place the movie as a tremendous success, and at the box office it ran for 25 weeks consecutively. Asoka (2001) is the movie which has in focus the epic story of an ancient Mauryan king of India, King Asoka. It stars Shah Rukh Khan, Kareena Kapoor and Danny Denzongpa in leading roles. It is produced by Shah Rukh Khan and is directed by Santosh Sivan. The story is about the king (Asoka) as a youth who was a plunderer and waged a war, the bloodiest ever in history. He later embraced Buddhism. Lagaan (2001), bases its story about a small village of India during the rule of the British Queen Victoria; how they play a game of cricket against the British staking their future on its victory. It is directed by Ashutosh Gowariker with the leading roles played by Aamir Khan, Gracy Singh and Rachel Shelley. Jodha Akbar (2008) is a story from the sixteenth century when Akbar the Great was the emperor of India. It shows how a marriage alliance turns into true love between a Rajput princess (Aishwarya Rai) and the Mughal emperor (Hrithik Roshan). The movie is directed by Ashutosh Gowariker who had directed Lagaan also. The historical movies are all time favourite with the Hindi film audience and we hope that more such flicks will be produced in the future that will educate and entertain the younger generations.